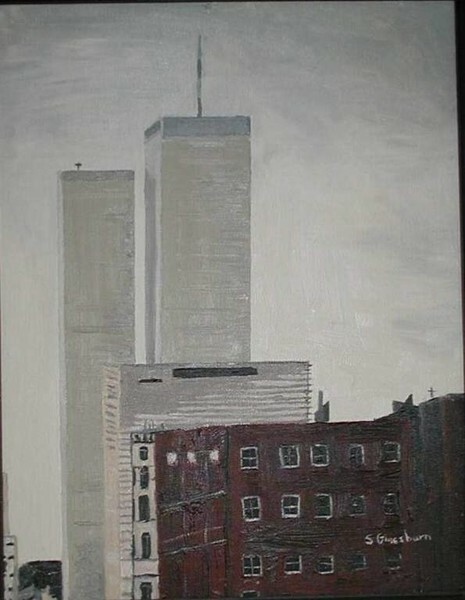 I painted this in oil years ago from a photo I took on one of my trips to New York City. I did not know then what Meaning it would hold today. ARCHITECTURAL PAINTINGS CityScape Historic Places Inspirational You Should See This!!! I got to see only the images though! Great to have painted them, Sharon! Make a greater tribute today! Wow!! Something to remember for long long time...sad- sad history! !